When you think you are having a bad day. . .
Pictured at top, Fannie Brown; children from left to right are Gussie, Davie Darlene, and Giles. On January 20, 1890 twins were born in Runge, Texas, to a couple who already had ten other children. The fraternal twins were Fred and Frances Alma Brown. It most likely took them many years before they realized that occasionally on their birthday, there would also be a new president being sworn into office. The governor of Texas at the time of their birth was a man named Lawrence Sullivan (Sul) Ross, and these twins probably had no clue at the time of their childhood that Sul Ross had fought in the Civil War, and he had been a Texas Ranger who served in the pursuit of a Comanche raiding party in the winter of 1860 called “The Battle of Pease River.” In that battle Cynthia Ann Parker, mother of Quanah Parker, was recovered. 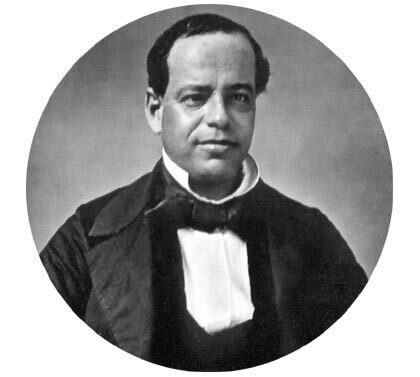 Sul Ross had also helped write the Texas Constitution of 1876, which governs Texas today. Perhaps the parents of these twins, Samuel and Emma Simmons Brown, knew all these things, but the family children may or may not have thought of such events or people. Most of the Brown family time was spent farming, going to church, going to school, and – even though electricity was available in cities – doing their homework by lantern light. They had horses and buggies, but cars were not in their lives just yet. Education and religion were important for learning and becoming good citizens but also served as a place to learn socialization skills. Once Frances, known as Fannie, graduated high school, it made sense that she would look for work close to home. Her first job was in a rural school at Couch, Texas, an area in Karnes County that isn’t marked any longer. She made $25 per school month as an assistant teacher. She lived with a family and walked to and from school with the children daily. Her job was to sweep the floors, build a fire in the winter, and teach the children – some of whom were older and bigger than she was – every subject. They were all ages and of all abilities. Fannie was eighteen. Fannie Brown’s next job was as a teacher at Moore Rural School in Texas. Then she went to Southwestern in Georgetown for more education. Her next few years were spent in Mathis and Pettus. By the 1914-15 school year, she was a principal at Alta Vista School in Nueces County. 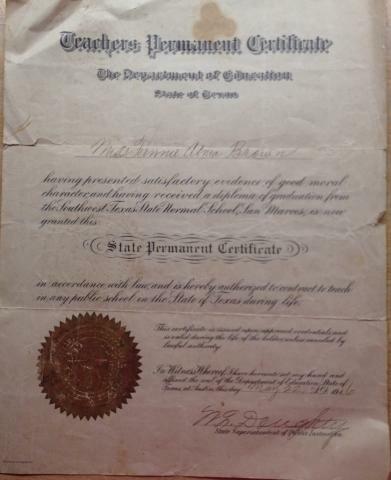 Her permanent Teacher’s Certificate was earned in the 1915-16 year at the San Marcos teachers’ college. By the next year, she was the principal at Alta Vista. 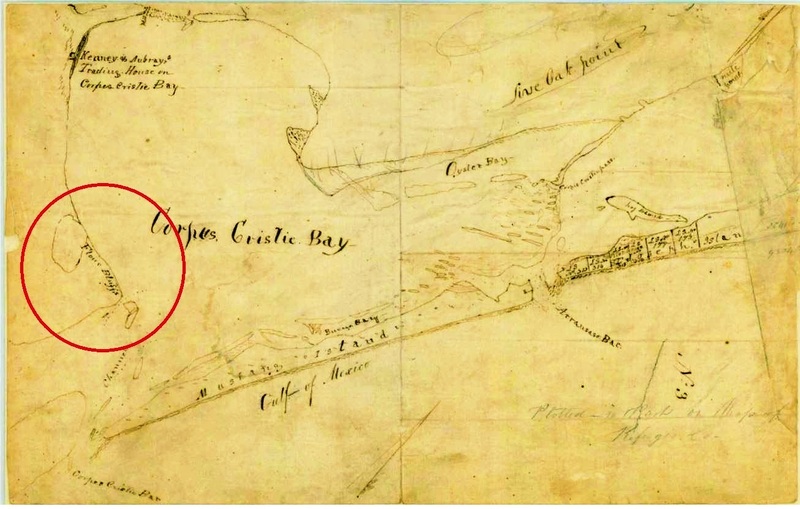 Since there is no evidence of where Alta Vista School was located, one can assume it was in the area of Ocean Drive where the Alta Vista subdivision now stands, but that would have been out in the country then. There is a reason for going through Fannie’s various teaching positions and her move upward. She never stopped improving her education nor the education of those she taught, whether they were her students or her family members. Then came the years of 1917 through about 1922. That’s when she met and fell in love with a man who was a widower and a school board member. She quit her job to get married and suddenly had three stepchildren who were almost her same age. But, they were grown and married. Her husband was David Munchausin (Munchy) Dodson, a farmer. They proceeded to have two children, Gussie Mae, and Giles Louis. Then in 1921, while pregnant with her third child, she endured a radical mastectomy due to breast cancer. She was also told by the doctors that, once this baby was born, she would have to undergo a total hysterectomy. All this was on her mind. David, her husband, became ill with cellulitis, and three days before Fannie Brown Dodson was about to have her 32nd birthday, she became a widow. 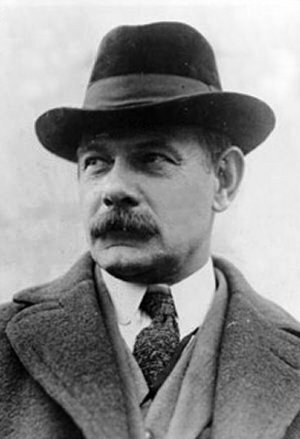 David M. Dodson most likely could have survived with antibiotics of today, but that was not to be in 1922. Widowed, eight- months pregnant, and facing more surgery, she found herself on January 17, 1922, in the depths of despair. Yet, she rarely felt sorry for herself. Less than a month later, on February 15, 1922, her little baby girl was born. 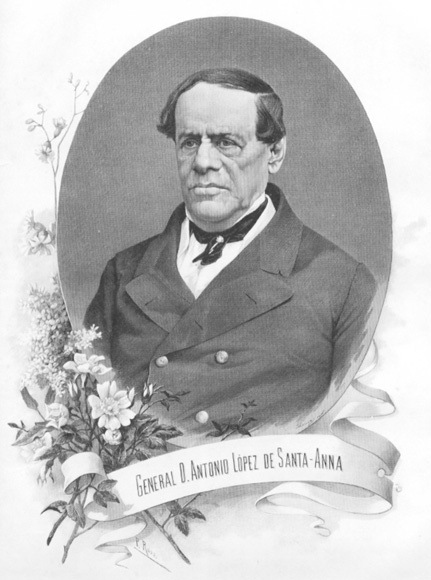 The doctor, Dr. W. C. Barnard, who knew well her condition, and who was the father of three sons, pleaded with Fannie to allow him and his wife to adopt this new baby since they had no girls. She told him, “Dr. 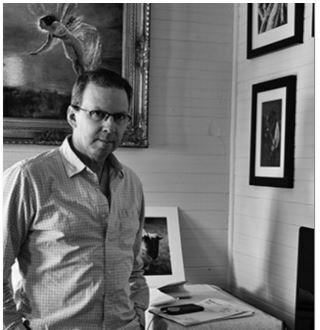 Barnard, you tell me which of my three children I should be able to give away.” He understood and didn’t ask again. Fannie named her new baby for the baby’s daddy, dead less than a month. Davie Darlene Dodson was born on February 15, 1922. Never a quitter, Fannie enlisted her sister, Mary Dobie, to take over the care of the baby so her surgery could be performed. The other two children, Gussie and Giles, about five and not quite three respectively, were most likely under the care of their grandparents. Once Fannie was able, she was back to finding a job in the education business. There were no safety nets for widows in 1922. She was a principal at Alta Vista, and later at Sunshine School, which was located near the present-day intersection of Rodd Field Road and Wooldridge Road. There was a home next to the school called the “Teacherage”, where she and her children lived, and Fannie enlisted her father, Samuel Brown and Fannie’s Aunt Sarentha to baby sit the ones who were not of school age. She recalled that some days she would boil a chicken and share it with students at lunch. Her salary in 1926-27 was $125 per school month. Giles remembered that his Grandpa Brown would sit on the porch and tell them not to leave that area because there were “Wild animals out there that would get them.” While that may have been true, it was probably also true that Samuel Brown didn’t want to have to chase after the little Dodson children. One day in 1928, Fannie was complaining to her eldest child, Gussie, that there surely were a lot of things that needed to be fixed. When a windmill repairer came to see if he could fix their windmill, Gussie ran to find her and said, “Mama, I found us a handyman.” The man was Fred Weber, a farmer and a widower who had three children of his own. His were a bit older than Fannie’s children. He lived at the corner of what is now Gollihar and Weber Road, a road in existence today that was named for his family. Fannie Brown Dodson Weber was a difficult person to convince she should retire and take it easy. She ended up teaching a total of about 55 years. 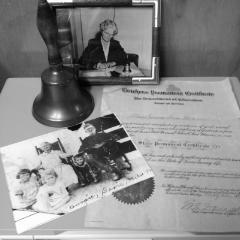 She was honored by the Texas State Senate on March 24, 1966, and lived until she was almost 96. In 1976 Bill Walraven wrote an article about her in the Caller-Times. Mathis, Texas, named a school for her. She is the main reason I became a teacher. She was a tremendous example of a person who met each struggle head-on. Any time any of us has a bad day, or a bad month, or even a hard year, I just try to remember my grandmother, my daddy’s mother, Fannie Weber. This week, on Wednesday, February 15, 2017, that little baby born after that truly difficult year of my grandmother’s life turns 95 herself. We grew up calling her Aunt Darlene. She became a nurse in World War II and met a Naval pilot named Frank McBride. They managed to live all over the world during their times in the service, including Guam and Hawaii. Aunt Darlene now lives near her daughter in Colorado. I am so grateful that my grandmother was brave enough to face the world without giving up her baby for adoption. Without this baby, my brothers, my cousins, and I would never have had the opportunity to know our Aunt Darlene. 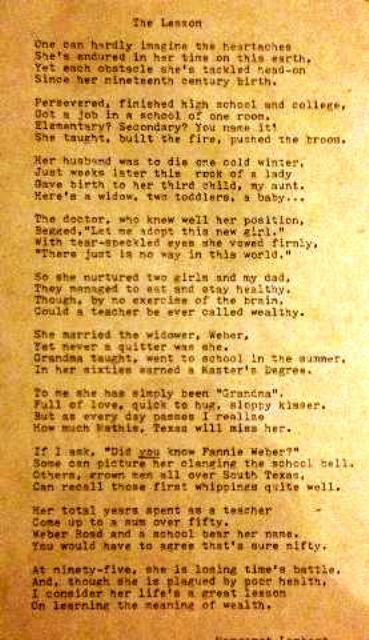 NOTE: The following is a poem written about Fannie Brown by her granddaughter, Margie Lambert, the writer of this historical account. Margie followed in her grandmother’s footsteps by becoming a teacher, as well. 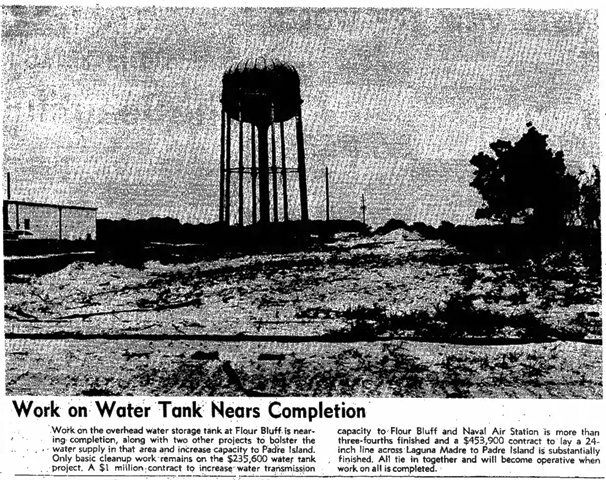 Back in 1959, before Corpus Christi annexed Flour Bluff, its residents petitioned for a change of names of several streets on the Encinal Peninsula. According to the Caller-Times article from June 23, 1959, petition signers cited getting house-to-house mail delivery in Flour Bluff to replace their rural mail status. 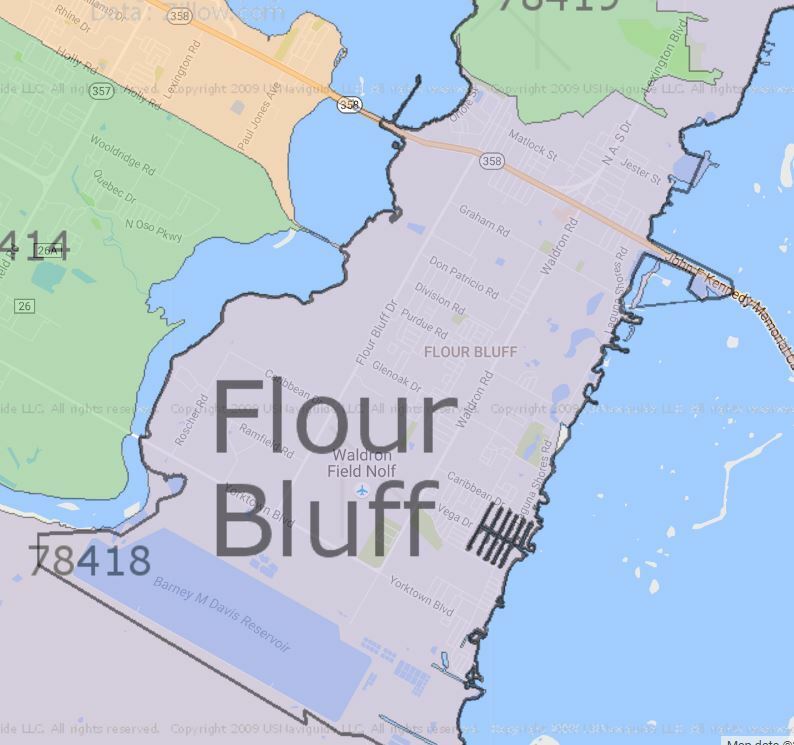 “They allege, apparently correctly, that 25 street names in the Flour Bluff area are identical with 25 in the city of Corpus Christi,” the article states. 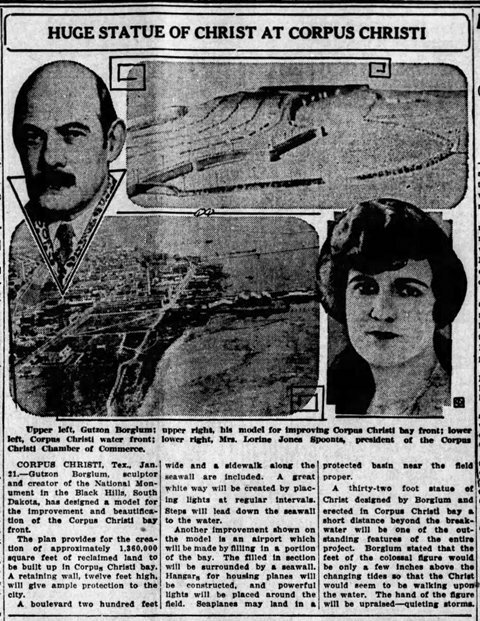 Corpus Christi postmaster, Arneta McGloin, told the Caller-Times that Post Office Department policy prohibited house-to-house delivery to streets with identical names in the same town. 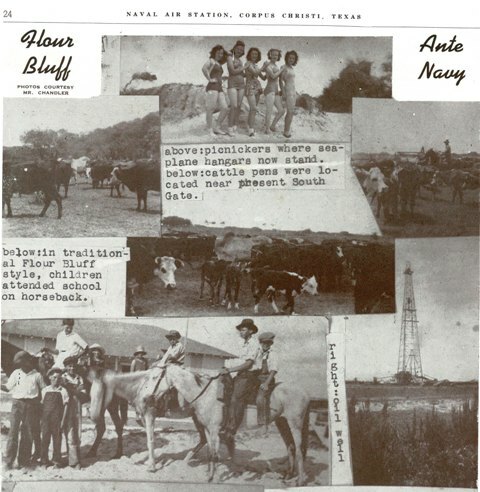 Even though Flour Bluff was not part of the city at that time, it did not have its own post office and was considered a part of Corpus Christi. County Commissioner Bob Barnes for Precinct 4, whose area of representation included Flour Bluff, said there would be a “quasi-public hearing” on the matter at the July 14, 1959, regular meeting of the County Commissioners Court since this kind of action could ruffle the feathers of those not in favor of the name changes. 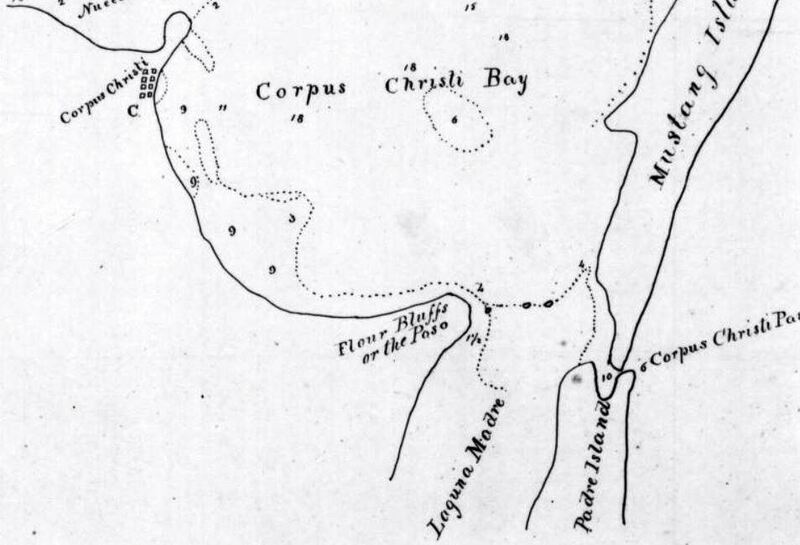 So, which streets in Flour Bluff went by another name? Only 20 (listed below) of the 25 name-change requests appeared in the article. Can anyone guess what these streets are named today? The answers can be found below the map. Of course, many are aware that Davis Drive morphed into what is now South Padre Island Drive, as did a stretch of Lexington Boulevard. 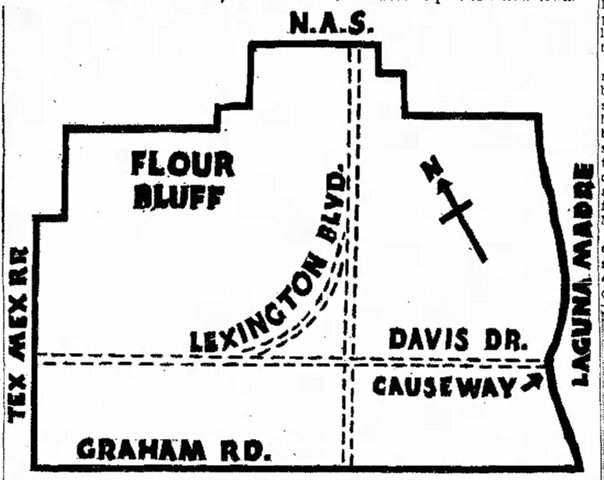 The piece of Lexington Boulevard that ran to NAS CC became NAS Drive. The piece of Purdue Street that ran from Waldron to Laguna Shores was re-named Hustlin’ Hornet Drive. With all the talk about streets these days, it’s sometimes just more fun to take a trip down Memory Lane and forget about its condition. 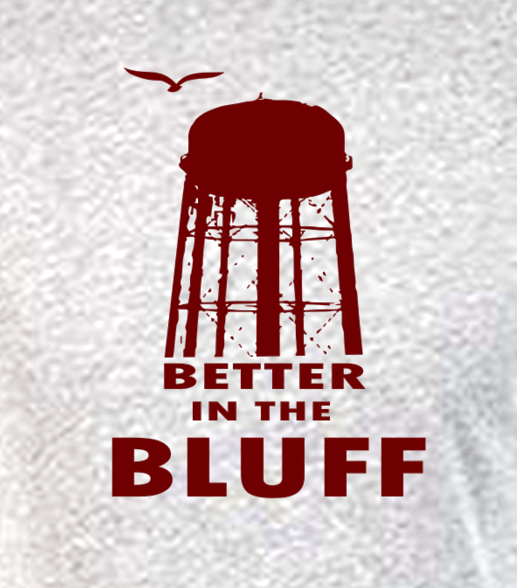 A Mastodon in Flour Bluff? It appears that mastodons walked the shores of Oso Creek in Flour Bluff over 25,000 years ago. According to a January 1, 1954, Corpus Christi Caller-Times article, the discovery of a large tooth weighing nearly 18 pounds led to the uncovering of an entire skeleton of the prehistoric elephant on the east bank of Oso Creek off Yorktown Boulevard. Travis Berlet, civil engineer for the Houston Natural Gas Corporation, unearthed the tooth on his 11-acre property off Yorktown where the road crosses Oso Creek over the old Mud Bridge. According to the article, “He found part of the tooth sticking out of an eroded area back of his house. He broke part of it while digging it out.” Berlet, who was an authority on the subject, estimated the age of the mastodon based on the condition of the tooth. It was the second mastodon find by Berlet. 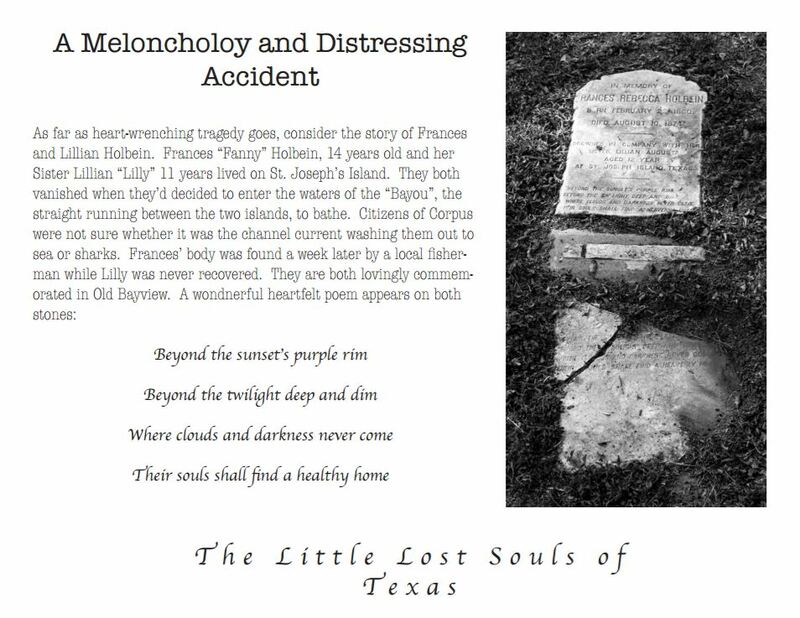 The first was found in the clay banks of Galveston Bay near Kennah, Texas, in 1928. 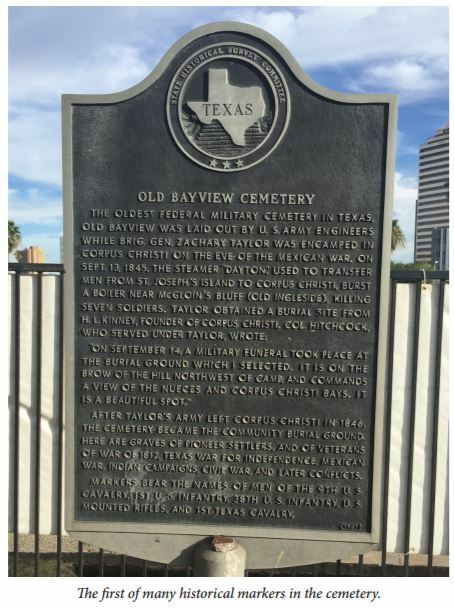 Berlet said that his property lay in the midst of a geological fault that is believed to extend as far as Copano Bay. A fault is a fracture in the earth, usually caused by an earthquake. The Caller-Times reported that mastodons are found most frequently in faults because they wash up more easily. 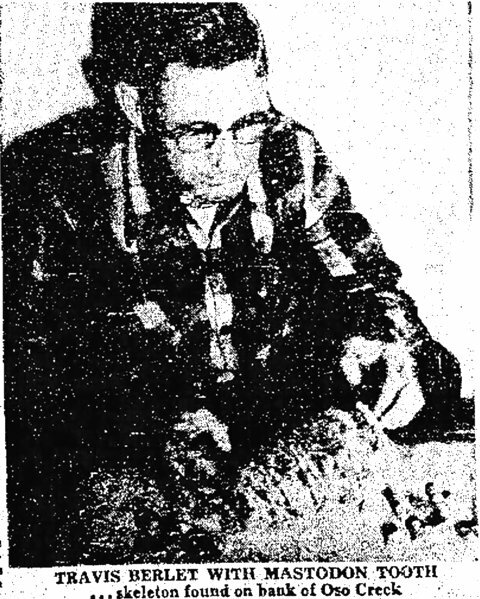 Berlet, who moved to Corpus Christi in 1941, said his mastodon was the first unearthed in the Flour Bluff area. The discovery occurred 62 years ago. 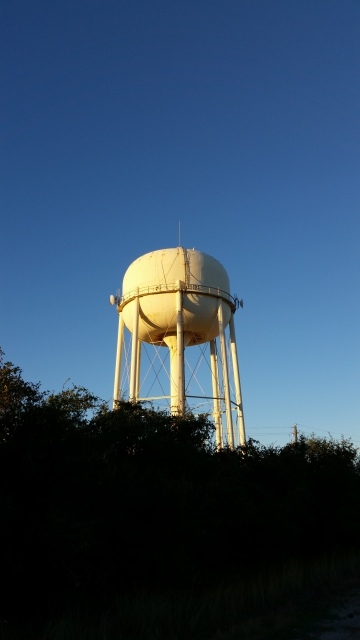 At that time, Berlet planned on contacting Texas A & I in Kingsville and Del Mar College to see if anyone was interested in extracting the beast. For now, this is all that has been uncovered in terms of the story behind the article.